Fitzroy Maclean, a Scottish aristocrat and adventurer, was born into a military family in Cairo in 1911, and was educated at Eton and then Cambridge – playgrounds of the British elite. He lived a long and remarkable life. “To some people, my life might seem one long adventure holiday, blowing up forts in the desert, clandestinely parachuting into guerrilla wars, penetrating forbidden cities deep behind closed frontiers,” he said a year before his death in 1996. A diplomat and accomplished linguist prior to the outbreak of World War II, and a successful writer, politician and documentary filmmaker afterward, Maclean would’ve been a noteworthy figure without his almost unbelievable exploits in the war. His contribution to the war effort would lead him to rise from the rank of private in 1941 to brigadier in 1945, be appointed a Commander of the Order of the British Empire and receive the Order of Khutuzov from the Soviet Union, the Croix de Guerre from France and the Order of the Partisan Star from Yugoslavia. He reached as far as Afghanistan before returning to Moscow, where he witnessed firsthand the infamous show trial of Nikolai Bukharin, a leading Bolshevik who had fallen out of Stalin’s favor. In 1939 he returned to London to work on the Russia desk of the Foreign Office, where he would remain for the first years of the war. As a diplomat, Maclean was prohibited from joining the military, despite his ambitions to join his father’s regiment, the Cameron Highlanders. Frustrated at spending the war at a desk, in 1941 he found an unconventional route out of the diplomatic service and into the military. If a diplomat were elected as a member of Parliament, they were obliged to resign. Using his considerable connections and resources, he managed to get his name placed on the ballot for a by-election in the constituency of Lancaster, which he duly won. Upon his victory, he immediately joined the Cameron Highlanders as a private – an almost unheard-of move for someone with his privileged background. He was quickly commissioned as a lieutenant and seconded to a commando unit in Cairo. His original mission – the destruction of oilfields in Azerbaijan in case Axis forces broke though the Caucasus – was scrubbed, so instead he joined a unit established by his fellow Scottish aristocrat David Stirling. The Special Air Service. At the time, the SAS operated with the Long-Range Desert Group, a British-New Zealand-Rhodesian special forces unit that operated behind Axis lines in the Libyan desert. With the LRDG Maclean rode along on raids and reconnaissance missions, utilizing his skills and experience to assist in operations. On a mission to mine Benghazi harbor, Maclean posed as an Italian officer and, in fluent Italian, scolded the Italian sentries for not taking their job seriously. On another mission, Stirling crashed the vehicle he was sharing with Maclean, and whilst the former escaped relatively unscathed, Maclean was knocked unconscious for four days. “David Stirling’s driving was the most dangerous thing in World War II!” Maclean said. Winston Churchill’s son Randolph served with the LRDG for some time, during which Maclean was essentially entrusted with his safety – a role he would repeat later in the war on another continent. In November 1942 Maclean was recalled from the LRDG and given a special assignment. “Guardsman Duncan and I refilled the jeep with petrol and food and set out for Persia,” he recalled in his memoir. Their mission was to subvert Axis attempts to foment a rebellion among the tribes in the south of the country. General Fazlollah Zahedi, a leading Persian officer in command of the Isfahan Division, was believed to be one of the ringleaders in the rebellion, so Maclean and his men kidnapped him from his home and eventually flew him to Palestine, which at the time was part of the British Empire. On a trip back to Cairo, Maclean met Churchill and informed him that the Partisans were the only force offering genuine resistance in Yugoslavia, but had reservations about their “avowedly communist” outlook. “Do you intend to make Yugoslavia your home after the war?” Churchill reportedly asked. 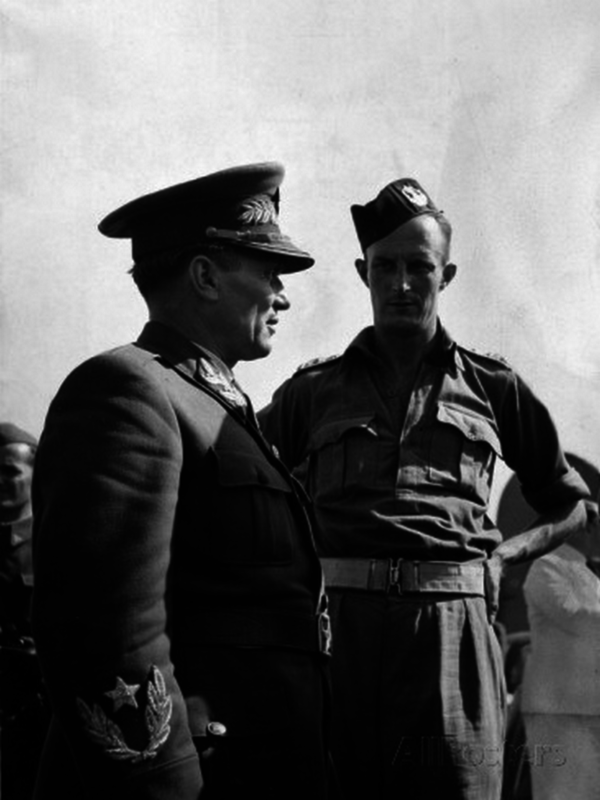 Whilst in Cairo, Maclean also met the exiled king of Yugoslavia, the man whose claim to power was all-but extinguished by his decision to focus all Allied support on the Partisans. The king asked Maclean what the Partisans and other Yugoslavs thought of him. “They resented some of the proclamations which had been made in your name over the wireless, condemning their leaders to death as traitors,” Maclean said. Maclean was in Yugoslavia for almost two years, and spent most of his time there coordinating supply drops for Partisans and accompanying Tito, with whom he built a lasting friendship. In the autumn of 1944 Maclean and his men witnessed the end of the Belgrade Offensive, a month-long battle for the Yugoslav capital which pitched a desperate German force against a combined Partisan-Red Army attack. Maclean stood on the Kalemegdan, a medieval Ottoman fortress in the center of the city which offers breath-taking panoramas, and observed the last of the German forces retreat, with Soviet soldiers in pursuit, across the last bridge over the Danube. For his services in assisting in the liberation of Yugoslavia, Maclean was one of only three foreigners allowed to own property in socialist Yugoslavia, and bought a house on the Dalmatian island of Korčula, in Croatia. He would produce a best-selling memoir of his wartime experiences, which was published under the name Eastern Approachesin 1949 and Escape to Adventure in 1950. He was awarded a Baronetcy in 1957, becoming Sir Fitzroy Maclean of Strachur and Glensluian, and remained an M.P. until 1974.